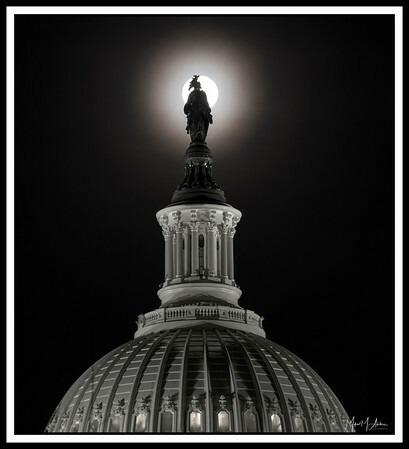 A rare Super Moon shines on the U.S. Capitol building in Washington in January of 2018. 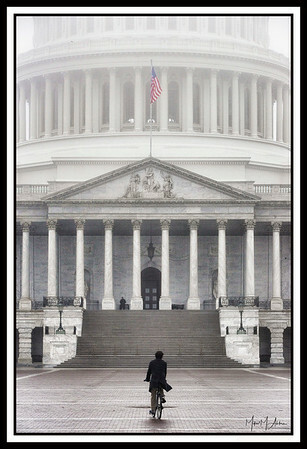 A bike rider takes in the grandeur of the Capitol steps on a foggy day. 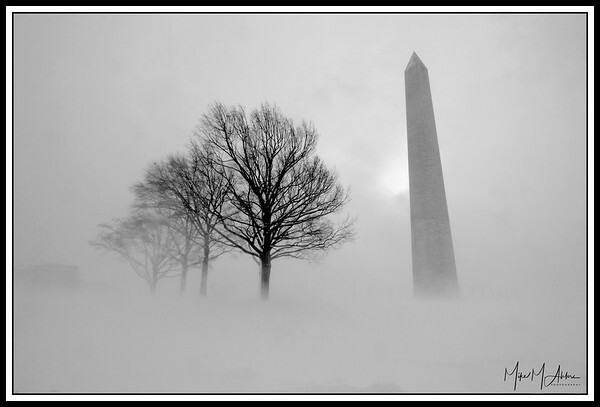 A blizzard obscures all but the biggest objects on Washington's National Mall. 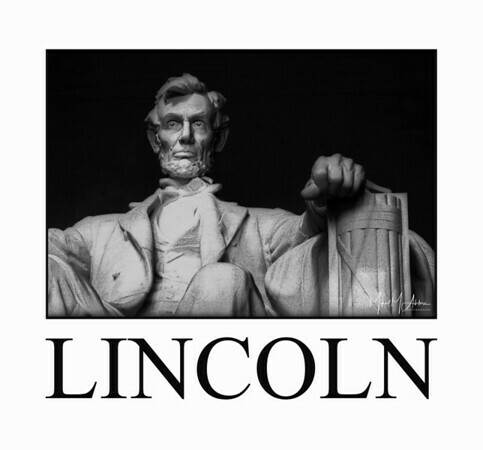 Carl Sandburg described Abraham Lincoln as someone made up of both “steel and velvet.” It's easy to see the steel in this stone monument to the nation's 16th president. 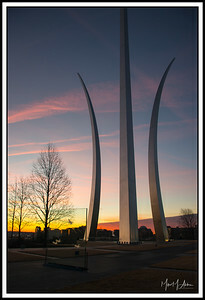 .... and sometimes they do. 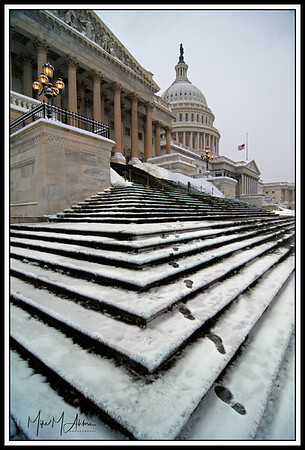 Snow leaves evidence of a recent visitor. 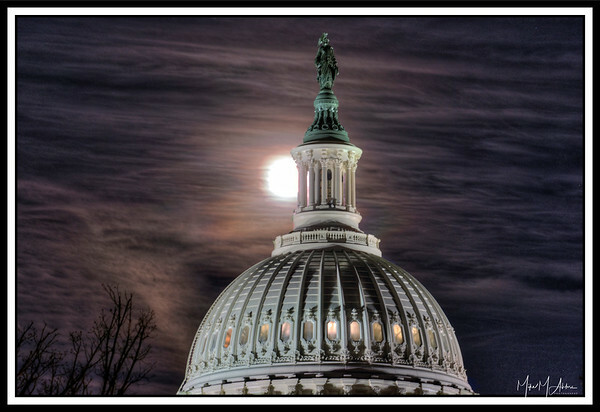 A rare Super Moon illuminates the sky behind the U.S. Capitol. 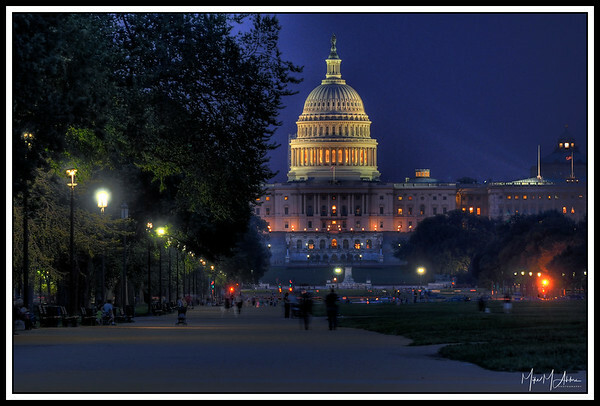 Visitors stroll outside the Capitol on a summer evening. 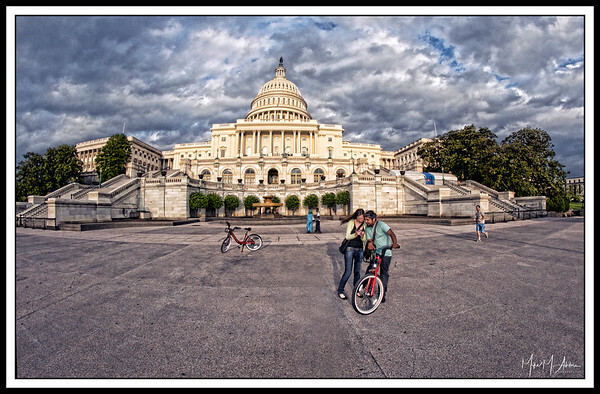 Visitors to the U.S. Capitol share some time on the plaza on the West Front of the building. 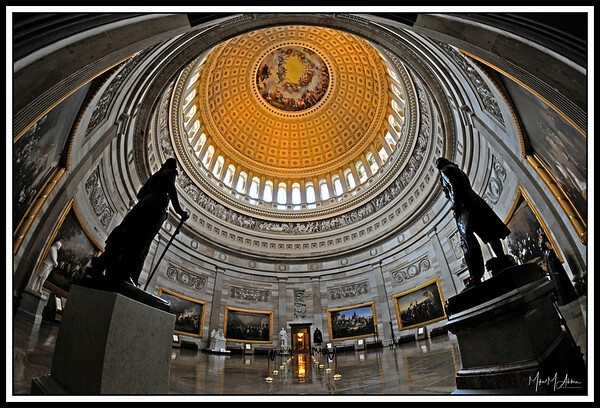 Statues of American leaders encircle the majestic rotunda of the U.S. Capitol. 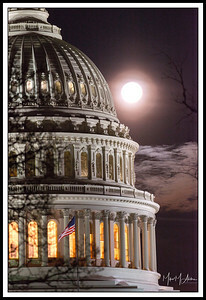 A rare Super Moon illuminates the skies above the U.S. Capitol. 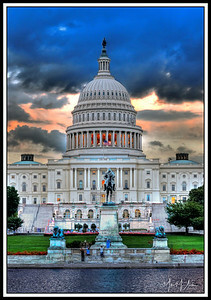 Visitors enjoy the views offered by the west front of the U.S. Capitol. 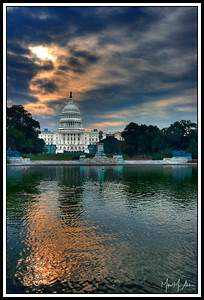 The west front of the U.S. Capitol. 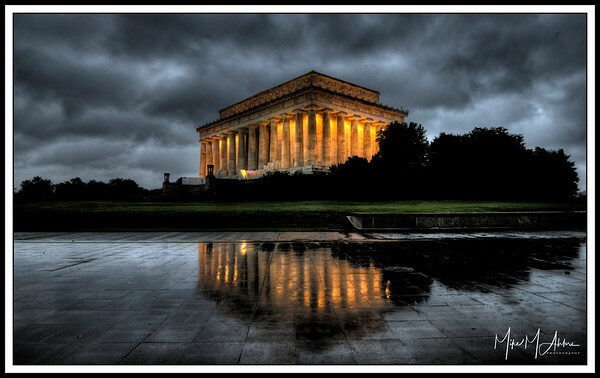 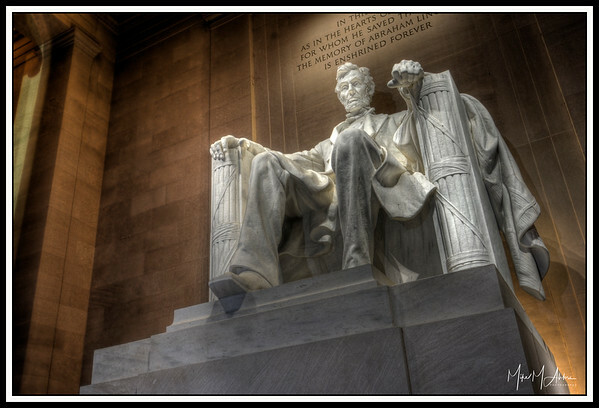 The memory of Abraham Lincoln is enshrined forever in this monument in Washington and in the hearts of Americans. 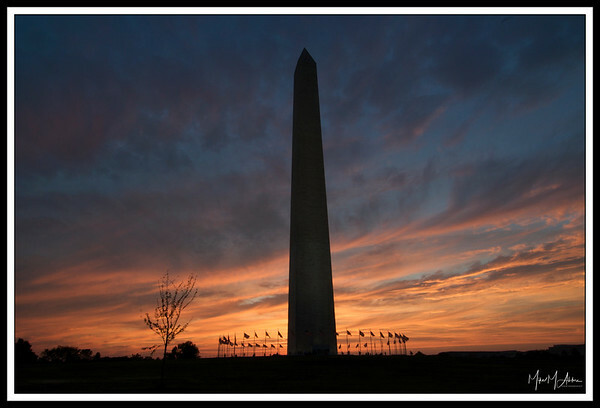 The Washington Monument is silhouetted on a beautiful summer evening. 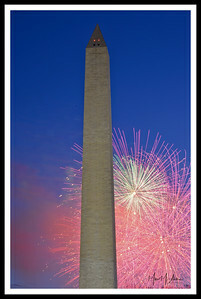 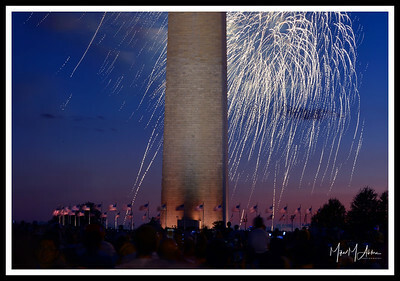 On July 4th, all eyes are on the Washington Monument. 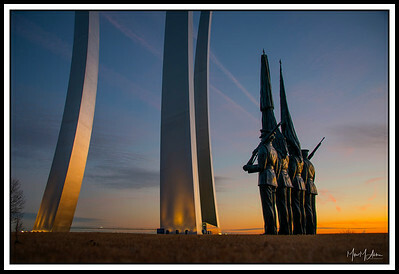 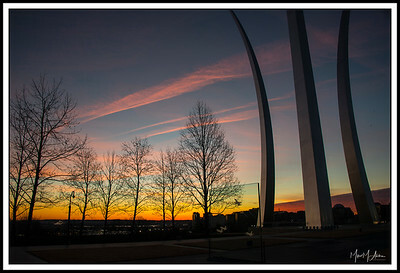 Sunrise at the U.S. Air Force Memorial in Arlington, VA.